Drivers of diesel-powered vehicles now have available to them locally a new type of fuel which will both save them money and maximise their ride’s performance. This as petroleum distributor Rubis has launched its new Ultra Tech Low Sulphur Diesel on island. 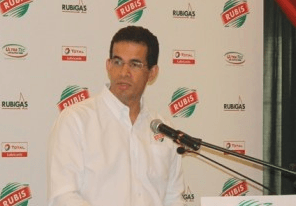 At the launch of the product on Tuesday, Chief Executive Officer of Rubis Caribbean, Mauricio Nicholls, boasted that the new product from Rubis will offers better value and service to the travelling public. The new diesel is a cleaner burning fuel that has been refined so that its content is significantly lower than regular diesel. Nicholls noted that it was introduced as a result of increased environmental awareness. The company’s CEO pointed out that the diesel will bring reduced sulphur dioxide emissions, which will lead to a reduction in black smoke and exhaust fumes. According to him, the product is two-fold and will also work as a cleaning agent to help prevent buildup and remove harmful deposits on an engine’s fuel injectors, combustion and valves. Nicholls said the plan to produce a low sulphur diesel gave birth during discussions with the Government of St Lucia, which had expressed an interest to introduce a better quality diesel fuel into the market place. “So we participated and it’s good to say that the government played an active role in this initiative. We listened to what the government wanted to do and put a plan in place, to introduce low sulphur diesel to the market,” he explained. Commerce Minister Emma Hippolyte commended the company for the move, stating that Rubis has considered some concerns government had raised with the team. It is hoped that the product will serve a greater purpose in promoting a greener environment. For Permanent Secretary in the Ministry of Sustainable Development Sylvester Clauzel, the product will contribute to the reduction of green house gas emissions here. Clauzel acknowledged the hard work of the Rubis team and said that the ministry has done its homework to find out the authenticity of the product and has found it to be of high standard and quality. The Rubis team also used the opportunity to showcase their lightweight Rubis LPG composite bottle, which will be made available at selected retailers island-wide. The new LPG gas is is 50 percent less in weight than the traditional steel cylinders. It is also transparent and provides an accurate reading of your gas level, so as to avoid running out of gas. It is non-corrosive, which is made from composite and plastic, and is 100 percent recyclable. Rubis is currently the leading supplier of petroleum to countries in the Caribbean, Europe and Africa. In 2011, it acquired all of Texaco’s assets and currently has over 230 retail service stations throughout the region. The company also provides aviation fuel in the Caribbean, to at least nine regional airports. The company said that it plans to expand and improve its products and services in St. Lucia and the wider Caribbean, as well as support community development. Rubis recently sponsored the 2014 Vieux Fort Softball Cricket Tourney.